At least 30 people were killed in an air strike that hit a small hotel north of the Yemeni capital Sanaa on Wednesday, the armed Houthi movement said. The Houthis, who control Sanaa and northern Yemen, are fighting Yemen's internationally-recognized government, which is backed by Saudi Arabia and its allies in a civil war. 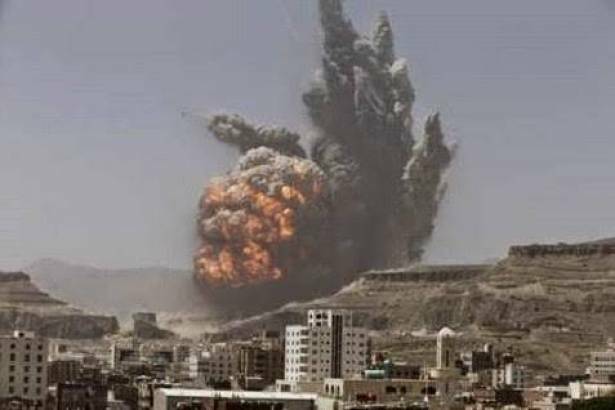 "More than 30 martyrs in air strike on small hotel in Arhab," Houthi-run television station Almaseera said in a newsflash. Earlier this month, a senior United Nations official condemned recent reported airstrikes in Yemen, including on a house containing children, saying they showed "disregard" for civilians' safety.